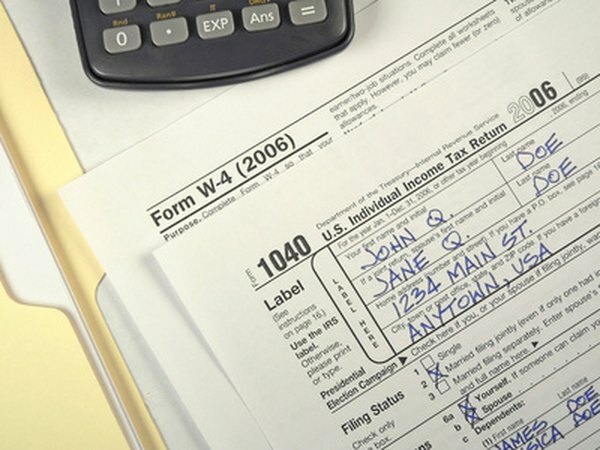 You can deduct IRA contributions with Form 1040 or 1040A. Individual retirement arrangements are truly personal, meaning that each spouse keeps a separate IRA. This means married couples can double their annual savings by maximizing each spouse's IRA contribution. If both spouses qualify, both spouses can deduct their personal IRA contributions on the same tax return. Not everyone qualifies to deduct their contributions to a traditional IRA. If neither the husband nor the wife participates in a employer-sponsored plan, both spouses can deduct their full contribution. However, if either spouse does participate, contributions are deductible only if the joint income falls below the annual limits. The limits are higher for the spouse that is not covered. For example, if the husband participates and the wife doesn't, the wife might be able to deduct her traditional IRA contributions when the husband cannot. The income limits appear in IRS Publication 590. Typically, no one can contribute more than the annual contribution limit or their compensation for the year, whichever is smaller. For example, if a person doesn't work during the year, that person usually can't contribute. However, the IRS makes an exception when a married couples files a joint return. The total compensation for the couple is combined and either spouse can use it to contribute. For example, if the annual contribution limit is $5,000 and one spouse makes $10,000 or more, both spouses can contribute the full $5,000. A non-working spouse can take advantage of using the other spouse's compensation to qualify to deduct an IRA contribution only if the couple files a joint return. If the couple files separate returns, each spouse must have separate compensation during the year to qualify to contribute. For example, if the husband does not work but the wife does, if they file a joint return, the husband can rely on the wife's compensation to qualify. However, if they file separate returns, the husband doesn't qualify. The deduction for contributions to a traditional IRA by both a husband and a wife is reported together as the IRA deduction. You can use either Form 1040 or Form 1040A, but not Form 1040EZ. The deduction goes on the line entitled "IRA Deduction." For example, if the husband contributes $4,000 and the wife contributes $4,000, report an $8,000 IRA deduction. You can claim the deduction without having to itemize and give up the standard deduction.